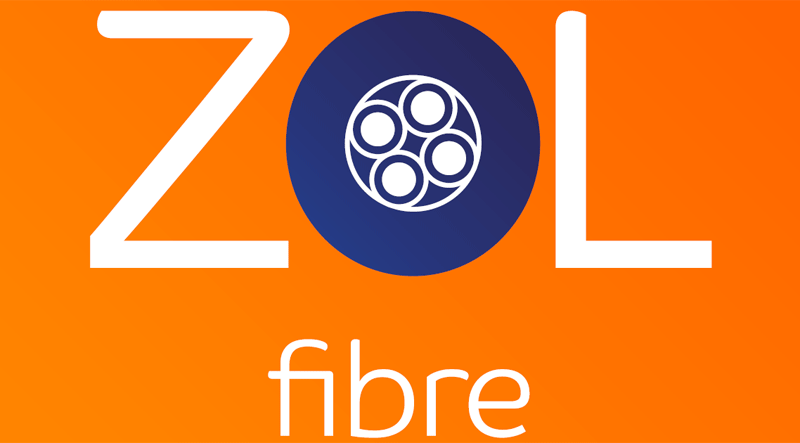 In a significant upgrade of their capped fibroniks packages, ZOL has raised the cap on its $39 package from 15GB to 25GB and the $89 package from 30GB to 50GB. The upgrade seems to have gone into effect last night as some customers of the provider “complained” on social media that they were getting more data than they signed up for – No April fools! ZOL’s website still shows the old packages, but sources have confirmed the upgrade. In the past several weeks ZOL has hinted on social media that they would be unveiling some exciting new packages. We’ll be checking for solid information on what else has improved but right now our hopes are that the the entry price for uncapped packages has reduced from the common-man-prohibitive $149. Chance are however that no such change will happen – fact is them not reducing the price on the capped packages (but upgrading the caps) means their biggest problem/cost is not the data they can give you, but all the other costs of running a business that provides that data. Things like marketing and people. Unfortunately therefore, unless ZOL reduces the uncapped packages prices, alternatives on the market like TelOne’s $89 uncapped ADSL will remain the preferred option for those that don’t want to constantly watch their consumption. In fact ZOL’s move comes after TelOne doubled the data on all their capped packages in December. $42 on TelOne’s ADSl currently buys you 50GB. Of course the quality (speed and reliability) of a fibre connection and an ADSL are anything but comparable. Still in a country where people are increasingly watching their spend though, quality may be something the thrifty are ready to sacrifice. What would have been ideal is if the 20Mbps package went up to say 30Mbps symmetric. I have been using the TelOne $89 packages, l have nothing but phraises for TelOne at the moment. The speed is constant on 250-300kbps and the reliabilty nothing bt good so far. I have to give it to the customer service, it is totally revamped and improved beyond anything l have used before. On Zol, lm even selling their outdoor unit if anyone is interested to buy. iperf test is the most accurate test you can run to see if your isp is giving you correst agreed bandwidth and make sure they did put the correct settings on their router or line interface. In my case, l ran a iperf client targeting iperf servers in Europe, US and vice versa. I was happy that they got my settings correct. Are you really happy with 300kbps!?! please tell me thats a typo. I use Telkom SA ADSL I get 4Mbps down and 500kbps up. My family is ok but not happy!!! I wish I was in Zimbabwe of a 20Mbps link! Its not a typo! There was time when l was with powertel, at its best day it was giving 5kbps, most of the time 0.2. I moved to Telone and again at its best it was 25kbps. Then Zol came along, it was good until pple starting to move away from powertel. Zol was averaging 35kbps. I moved to YoAfrica, for the first time l was so excited, l was getting 1.5Mbps from 2Mbps deal. But it did not last long, l then moved back to Telone where lm today. l signed for the 2Mbps, l tested the line and it is actually set at that. But l do not think Telone have any packet accelerators like Aspera on their international links. This means that when you browse local content, it is going to be fast but very slow if you do abroad servers. The problem with Zim ISPs is greediness and lack of technicians who can sort out problems when things go wrong. l do not just throw money about just to get fast internet. In another part of the world, l signed for a television deal for 35bucks and l get 2Mpbs adsl broadband free and unlimited, and l get exactly 2Mbps download and 1Mbps upload. On my mobile l get 70Mbps download and 60Mbps although its limited depending on packages. The 20MB to me here in Zim are not value for money. l can sign for 100Mpbs unlimited only for 40 bucks. No doubt Telone is the best. Speed is reliable. I have never ever faced issues from my ADSL connection. My whole family is happy becoz of Telone!!. unheard of for a parastatal to outperform the private sector. ZOL – you need to up your game ! Happy with Telone too. However I’m moving to Harare. Can anyone suggest for me places where adsl is easily available, I want a place to rent where there’s adsl lines. Telone has just exceeded my expectations, customer support is just amazing. ZOL’s customer support is just crazy. I decide to make the switch from ZOL after on several occasions customer service agents wr rude to me. There is a speed difference between the $39 and $89… I think $89 is 10Mbps while the other one is only 5Mbps.